Not every aerial lift is created equal, and so it is important to ensure that you understand the ins and outs of yours. Aerial lifts are vehicle-mounted devices that are used to assist workers in performing tasks at elevated levels. Either you've noticed them when a utility company is working on a power line, or perhaps a company office is having their windows cleaned. These are convenient means of elevation compared to ladders, thanks to their mobility and flexibility in function. But before you can use your aerial lift to assist you with your jobs and tasks, there is the matter of getting your aerial lift to its destination. Consider some of these tips to ensure that your aerial lift gets to your job site safely and securely. A proper transit not only ensures the safety of your equipment, but also the safety of you and your fellow operators. Also included is some information on the hazards of operating aerial lifts and how to check your aerial lifts for optimal operations. Not every aerial lift is created equal, and so it is important to ensure that you understand the ins and outs of yours. This is important not just for when you're using the aerial lift to get your job done, but it is going to be vital for when you're getting your aerial lift loaded onto a truck and when you're trying to get it off. These moments are crucial because a misstep can result in equipment damage and personal injury to you or your coworkers. 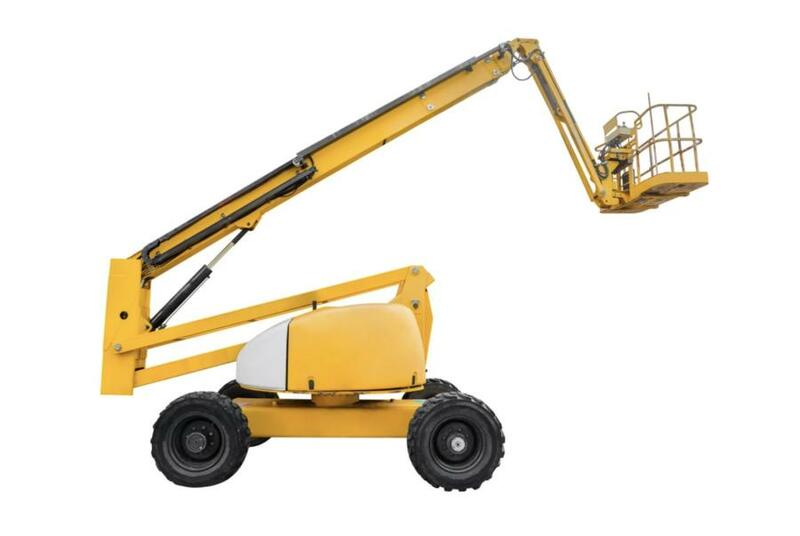 When preparing your aerial lift for transport, make sure that the boom is fully retracted and not extended. If it has a 360-turntable, make sure that it has circle-end wheels and that any axles are fully retracted. If your aerial lift is a scissor lift, make sure it is fully lowered and folded. Not properly stowing your aerial lift before transport can result in an accident, damaging your aerial lift and possibly injuring yourself and those around you. If your aerial lift has a turntable, make sure it is properly locked so that it doesn't rotate and swing while being transported. This too can cause damage to your vehicle or passengers. A worst-case scenario would be causing damage to your surroundings with the aerial lift swinging around. Whether your aerial lifts are on the lighter side or are heavier than most, it is wise to use tie-down chains and straps to keep the machine and all moving parts down when transporting it. Failure to do so can result in free-moving parts, such as the turntable if it isn't locked, or the boom accidentally extending by some bizarre chance. Any of these accidents could result in damage to your vehicle, your equipment, and injury to workers and bystanders. Also, this can help prevent any runaway aerial lifts should it not be parked properly on your truck. It is best to ensure that your tie-down chains and straps are designed especially for vehicles and heavy parts. When loading and dropping off your aerial lift, make sure to use great care and drive very slowly when getting on or off the truck. Make sure you have a coworker or two to help guide you on and off the truck to prevent any mishaps. A second or third pair of eyes can also help make sure there are no collision accidents while getting your aerial lift off the truck and into position at the job site. If for some reason you need to transport your aerial lifts overseas or across an international border, it is best to consult a qualified freighter to assist in the moving of such equipment. Retraining should also be implemented if accidents should occur or a workplace hazard is discovered and was not addressed by the operator. Ensuring proper safety procedures can preserve lives as well as prevent damage to equipment and surroundings. Proper inspection of your aerial lift can make the difference between having optimal operations and having a breakdown in the middle of a task, leaving a worker stranded. Check your Fluid levels (oil, hydraulic, fuel and coolant levels) and search for any fluid leaks which might affect those levels. Check the wheels and tires for integrity and inflation. Check the battery to ensure it is functional. Check your steering and brakes for any defects or odd changes. Check your lights, your gauges, and your horn to make sure they are working properly. These are important for safety, especially when you need to alert others around you of your presence and that there is work taking place. Make sure the operating and emergency controls are all functional. Check to make sure you have the necessary protective gear on board. Inspect the hydraulic, air, pneumatic, fuel and electrical systems. Keep an eye out for any missing warnings or instructional markings. These should be replaced if missing. Check locking pins, fasteners, cables and wiring harnesses. Check your guard rail system. Search for any missing or loose-fitting parts and report them. These can lead to fall accidents, equipment breakdown, and injury. In some cases, you might find yourself needing professional assistance in transporting your aerial lift. With professional services, you can get your equipment to where it needs safely and quickly, and with the help of a third-party, you also lower the chances of your own operators and workers being put at risk of injury in the process of transporting your aerial lift. Whatever way you choose to transport your aerial lifts, remember that safety should be your highest priority. With proper training and safety precautions, you can get your aerial lifts to where they're needed to get the job done.